IMAGE. Trolling for fish is when you drag your line slowly through the water hoping to fool a fish into snatching your bait. On your favorite social media site, create a new user. Your profile avatar will be a photo or drawing of Orlando Jones. 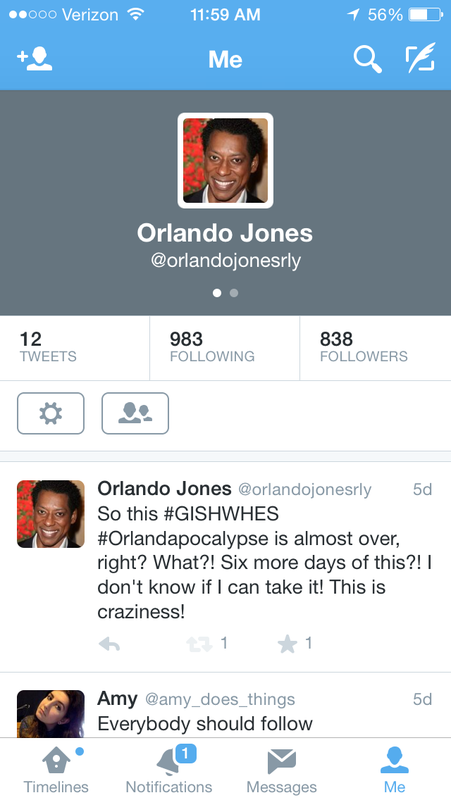 Your user name will be evocative of “Orlando Jones.” Now, masquerading as Orlando Jones, troll for–and hook–at least 400 followers. So this #GISHWHES #Orlandapocalypse is almost over, right? What?! Six more days of this?! I don't know if I can take it! This is craziness!